Eeva is a true Naava expert, creating healthier, happier and more efficient workplaces together with architects and designers. She has been involved in filling hundreds of customer premises with Nordic, pure air in Scandinavia and the United States. After doing pole-vaulting on a national level, she gained a passion for improving wellbeing and efficiency. 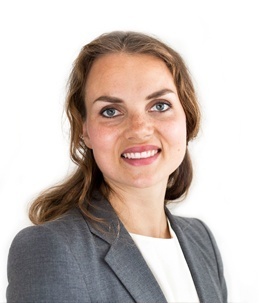 To follow that passion, Eeva started her career at Naava back in 2013. She has been a vital part of the company’s growth ever since, taking on different roles in the company throughout the years. From communications to sales, brand expertise and finally design - Eeva is a goldmine of information about Naava. She knows exactly how to get all the benefits out of Naava in any kind of premises. In addition, her expertise in biophilic design guarantees an optimal environment for human health.